Overall Impression: A fairly strong, malt-accentuated, lagered artisanal beer with a range of malt flavors appropriate for the color. All are malty yet dry, with clean flavors and a smooth character. Aroma: Prominent malty sweetness, often with a complex, light to moderate intensity toasty-bready-rich malt character. Low to moderate esters. Little to no hop aroma (may be a bit spicy, peppery, or herbal). Paler versions will still be malty but will lack richer, deeper aromatics and may have a bit more hops. Generally quite clean, although stronger versions may have a light, spicy alcohol note as it warms. Appearance: Three main variations exist (blond, amber and brown), so color can range from golden-blonde to reddish-bronze to chestnut brown. Clarity is brilliant to fair, although haze is not unexpected in this type of often unfiltered beer. Well-formed head, generally white to off-white (varies by beer color), average persistence. Flavor: Medium to high malt flavor often with a toasty-rich, biscuity, toffee-like or light caramel-sweet character. Malt flavors and complexity tend to increase with beer color. Low to moderate esters and alcohol flavors. Medium-low hop bitterness provides some support, but the balance is always tilted toward the malt. Darker versions will have more of an initial malty-sweet impression than paler versions, but all should be malty in the palate and finish. The malt flavor lasts into the finish, which is medium-dry to dry, never cloying. Low to no hop flavor (spicy, peppery, or herbal), although paler versions can have slightly higher levels of herbal or spicy hop flavor (which can also come from the yeast). Smooth, well-lagered character, even if made with ale yeast. Aftertaste of malt (character appropriate for the color) with some dryness and light alcohol. Mouthfeel: Medium to medium-light (lean) body, often with a smooth, creamy-silky character. Moderate to high carbonation. Moderate alcohol warming, but should be very smooth and never hot. Comments: Three main variations are included in the style: the brown (brune), the blond (blonde), and the amber (ambrée). The darker versions will have more malt character, while the paler versions can have more hops (but still are malt-focused beers). A related style is Bière de Mars, which is brewed in March (Mars) for present use and will not age as well. Attenuation rates are in the 80-85% range. Some fuller-bodied examples exist, but these are somewhat rare. Age and oxidation in imports often increases fruitiness, caramel flavors, and adds corked and musty notes; these are all signs of mishandling, not characteristic elements of the style. History: Name literally means “beer which has been kept or lagered.” A traditional artisanal ale from Northern France brewed in early spring and kept in cold cellars for consumption in warmer weather. It is now brewed year-round. Characteristic Ingredients: The “cellar” character commonly described in literature is more of a feature of mishandled commercial exports than fresh, authentic products. The somewhat moldy character comes from the corks and/or oxidation in commercial versions, and is incorrectly identified as “musty” or “cellar-like.” Base malts vary by beer color, but usually include pale, Vienna and Munich types. Darker versions will have richer malt complexity and sweetness from crystal-type malts. Sugar may be used to add flavor and aid in the dry finish. Lager or ale yeast fermented at cool ale temperatures, followed by long cold conditioning. Floral, herbal or spicy continental hops. Style Comparison: Related to the Belgian Saison style, the main difference is that the Bière de Garde is rounder, richer, malt-focused, and lacks the spicy, bitter character of a Saison. Entry Instructions: Entrant must specify blond, amber, or brown bière de garde. If no color is specified, the judge should attempt to judge based on initial observation, expecting a malt flavor and balance that matches the color. Overall Impression: A moderately malty, somewhat fruity, easy-drinking, copper-colored Belgian ale that is somewhat less aggressive in flavor profile than many other Belgian beers. The malt character tends to be a bit biscuity with light toasty, honey-like, or caramelly components; the fruit character is noticeable and complementary to the malt. The bitterness level is generally moderate, but may not seem as high due to the flavorful malt profile. Aroma: Moderate malt aroma, which can be a combination of toasty, biscuity, or nutty, possibly with a touch of light caramel or honey. Moderate to moderately high fruitiness with an orange- or pear-like character. Low to moderate strength hop character (spicy, herbal, or floral) optionally blended with background level peppery, spicy phenols. The hop character is lower in balance than the malt and fruitiness. Appearance: Amber to copper in color. Clarity is very good. Creamy, rocky, white head often fades more quickly than other Belgian beers. Flavor: Has an initial soft, smooth, moderately malty flavor with a variable profile of toasty, biscuity, nutty, light caramel and/or honey notes. Moderate to moderately high fruitiness, sometimes orange- or pear-like. Relatively light (medium-low to low) spicy, herbal, or floral hop character. The hop bitterness is medium-high to medium-low, and is optionally enhanced by low to very low amounts of peppery phenols. There is a dry to balanced finish, with hops becoming more pronounced in the aftertaste of those with a drier finish. Fairly well balanced overall, with no single component being high in intensity; malt and fruitiness are more forward initially with a supportive bitterness and drying character coming on late. Mouthfeel: Medium to medium-light body. Smooth palate. Alcohol level is restrained, and any warming character should be low if present. Medium to medium-high carbonation. Comments: Most commonly found in the Flemish provinces of Antwerp and Brabant. Considered “everyday” beers (Category I). Compared to their higher alcohol Category S cousins, they are Belgian “session beers” for ease of drinking. Nothing should be too pronounced or dominant; balance is the key. Yeast character generally more subtle than many Belgian beers, with some of the fruitiness being hop-driven. History: Produced by breweries with roots as far back as the mid-1700s, the most well-known examples were perfected after the Second World War with some influence from Britain, including hops and yeast strains. Characteristic Ingredients: Pilsner or pale ale malt contributes the bulk of the grist with (cara) Vienna and Munich malts adding color, body and complexity. Sugar is not commonly used as high gravity is not desired. Saazer-type hops, Styrian Goldings, East Kent Goldings or Fuggles are commonly used. Yeasts prone to moderate production of phenols are often used but fermentation temperatures should be kept moderate to limit this character. Style Comparison: Fairly similar to pale ales from England (Strong Bitter category), typically with a slightly different yeast character and a more varied malt profile. Less yeast character than many other Belgian beers, though. Overall Impression: A refreshing, elegant, tasty, moderate-strength wheat-based ale. Aroma: Moderate malty sweetness (often with light notes of honey and/or vanilla) with light, grainy, spicy wheat aromatics, often with a bit of tartness. Moderate perfumy coriander, often with a complex herbal, spicy, or peppery note in the background. Moderate zesty, citrusy-orangey fruitiness. A low spicy-herbal hop aroma is optional, but should never overpower the other characteristics. Vegetal, celery-like, or ham-like aromas are inappropriate. Spices should blend in with fruity, floral and sweet aromas and should not be overly strong. Appearance: Very pale straw to very light gold in color. The beer will be very cloudy from starch haze and/or yeast, which gives it a milky, whitish-yellow appearance. Dense, white, moussy head. Head retention should be quite good. Flavor: Pleasant malty-sweet grain flavor (often with a honey and/or vanilla character) and a zesty, orange-citrusy fruitiness. Refreshingly crisp with a dry, often tart, finish. Can have a low bready wheat flavor. Optionally has a very light lactic-tasting sourness. Herbal-spicy flavors, which may include coriander and other spices, are common should be subtle and balanced, not overpowering. A spicy-earthy hop flavor is low to none, and if noticeable, never gets in the way of the spices. Hop bitterness is low to medium-low, and doesn’t interfere with refreshing flavors of fruit and spice, nor does it persist into the finish. Bitterness from orange pith should not be present. Vegetal, celery-like, ham-like, or soapy flavors are inappropriate. Mouthfeel: Medium-light to medium body, often having a smoothness and light creaminess from unmalted wheat and the occasional oats. Despite body and creaminess, finishes dry and often a bit tart. Effervescent character from high carbonation. Refreshing, from carbonation, light acidity, and lack of bitterness in finish. No harshness or astringency from orange pith. Should not be overly dry and thin, nor should it be thick and heavy. Comments: The presence, character and degree of spicing and lactic sourness varies. Overly spiced and/or sour beers are not good examples of the style. Coriander of certain origins might give an inappropriate ham or celery character. The beer tends to be fragile and does not age well, so younger, fresher, properly handled examples are most desirable. Most examples seem to be approximately 5% ABV. History: A 400-year-old Belgian beer style that died out in the 1950s; it was later revived by Pierre Celis at Hoegaarden, and has grown steadily in popularity over time, both with modern craft brewers and mass-market producers who see it as a somewhat fruity summer seasonal beer. Characteristic Ingredients: About 50% unmalted wheat and 50% pale barley malt (usually Pils malt) constitute the grist. In some versions, up to 5-10% raw oats may be used. Spices of freshly-ground coriander and Curaçao or sometimes sweet orange peel complement the sweet aroma and are quite characteristic. Other spices (e.g., chamomile, cumin, cinnamon, Grains of Paradise) may be used for complexity but are much less prominent. Ale yeast prone to the production of mild, spicy flavors is very characteristic. In some instances a very limited lactic fermentation, or the actual addition of lactic acid, is done. Style Comparison: Low bitterness level with a balance similar to a Weissbier, but with spice and citrus character coming from additions rather than the yeast. Overall Impression: A complex, fruity, pleasantly sour, wild wheat ale fermented by a variety of Belgian microbiota, and showcasing the fruit contributions blended with the wild character. The type of fruit can sometimes be hard to identify as fermented and aged fruit characteristics can seem different from the more recognizable fresh fruit aromas and flavors. Aroma: The specified fruit should be the dominant aroma. A low to moderately sour character blends with aromas described as barnyard, earthy, goaty, hay, horsey, and horse blanket (and thus should be recognizable as a lambic). The fruit aroma commonly blends well with the other aromas. An enteric, smoky, cigar-like, or cheesy aroma is unfavorable. No hop aroma. Appearance: The variety of fruit generally determines the color, although lighter-colored fruit may have little effect on the color. The color intensity may fade with age. Clarity is often good, although some fruit will not drop bright. A thick rocky, mousse-like head, sometimes a shade of fruit, is generally long-lasting (carbonation-dependent). Carbonation is typically high, but must be specified. Flavor: The specified fruit should be evident. Low to moderately sour flavor, often with an acidic bite in the finish. The classic barnyard characteristics may be low to high. When young, the beer will present its full fruity taste. As it ages, the lambic taste will become dominant at the expense of the fruit character—thus fruit lambics are not intended for long aging. The finish is commonly dry and tart, but a low, complementary sweetness may be present; higher sweetness levels are not traditional but can be included for personal preference (sweetness level must be specified). A mild vanilla and/or oak flavor is occasionally noticeable. An enteric, smoky or cigar-like character is undesirable. Hop bitterness is generally absent; acidity provides the balance. No hop flavor. Mouthfeel: Light to medium-light body. In spite of the low finishing gravity, the many mouth-filling flavors prevent the beer from tasting like water. Has a low to high tart, puckering quality without being sharply astringent. Some versions have a light warming character. Carbonation can vary from sparkling to nearly still (must be specified). Comments: Fruit-based lambics are often produced like gueuze by mixing one, two, and three-year old lambic. “Young” lambic contains fermentable sugars while old lambic has the characteristic “wild” taste of the Senne River valley. Fruit is commonly added halfway through aging and the yeast and bacteria will ferment all sugars from the fruit. Fruit may also be added to unblended lambic. The most traditional styles of fruit lambics include kriek (cherries), framboise (raspberries) and druivenlambik (muscat grapes). IBUs are approximate since aged hops are used; Belgians use hops for anti-bacterial properties more than bittering in lambics. History: Spontaneously fermented wild ales from the area in and around Brussels (the Senne Valley) stem from a farmhouse brewing and blending tradition several centuries old. The number of producers is constantly dwindling and some are untraditionally sweetening their products (post-fermentation) with sugar or sweet fruit to make them more palatable to a wider audience. Fruit was traditionally added to lambic or gueuze, either by the blender or publican, to increase the variety of beers available in local cafes. Characteristic Ingredients: Unmalted wheat (30-40%), Pilsner malt and aged hops (3 years) are used. The aged hops are used more for preservative effects than bitterness, and makes actual bitterness levels difficult to estimate. Traditional products use 10-30% fruit (25%, if cherry). Fruits traditionally used include tart cherries (with pits), raspberries or Muscat grapes. More recent examples include peaches, apricots or merlot grapes. Tart or acidic fruit is traditionally used as its purpose is not to sweeten the beer but to add a new dimension. Traditionally these beers are spontaneously fermented with naturally occurring yeast and bacteria in predominately oaken barrels. The barrels used are old and have little oak character, so don’t expect a fresh or forward oak character – more neutral is typical. 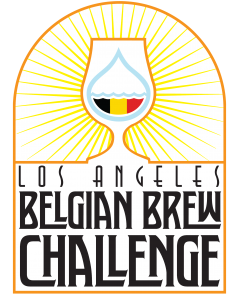 Home-brewed and craft-brewed versions are more typically made with pure cultures of yeast commonly including Saccharomyces, Brettanomyces, Pediococcus and Lactobacillus in an attempt to recreate the effects of the dominant microbiota of Brussels and the surrounding countryside of the Senne River valley. Cultures taken from bottles are sometimes used but there is no simple way of knowing what organisms are still viable. Style Comparison: A lambic with fruit, not just a fruit beer; the wild lambic character must be evident. Entry Instructions: The type of fruit used must be specified. The brewer must declare a carbonation level (low, medium, high) and a sweetness level (low/none, medium, high). Overall Impression: A complex, pleasantly sour but balanced wild Belgian wheat beer that is highly carbonated and very refreshing. The spontaneous fermentation character can provide a very interesting complexity, with a wide range of wild barnyard, horse blanket, or leather characteristics intermingling with citrusy-fruity flavors and acidity. Aroma: A moderately sour aroma blends with aromas described as barnyard, leather, earthy, goaty, hay, horsey, and horse blanket. While some may be more dominantly sour, balance is the key and denotes a better gueuze. Commonly fruity with aromas of citrus fruits (often grapefruit), apples or other light fruits, rhubarb, or honey. A very mild oak aroma is considered favorable. An enteric, smoky, cigar-like, or cheesy aroma is unfavorable. No hop aroma. Appearance: Golden color, with excellent clarity and a thick, rocky, mousse-like, white head that seems to last forever. Always effervescent. Flavor: A moderately sour character is classically in balance with the malt, wheat and barnyard characteristics. A low, complementary sweetness may be present but higher levels are not traditional. While some may be more dominantly sour, balance is the key and denotes a better gueuze. A varied fruit flavor is common, and can have a honey-like character. A mild vanilla and/or oak flavor is occasionally noticeable. The malt is generally low and bready-grainy. An enteric, smoky or cigar-like character is undesirable. Hop bitterness is generally absent but a very low hop bitterness may occasionally be perceived; sourness provides most of the balance. Crisp, dry, and tart finish. No hop flavor. Mouthfeel: Light to medium-light body. In spite of the low finishing gravity, the many mouth-filling flavors prevent the beer from feeling like water. Has a low to high tart, puckering quality without being sharply astringent. Some versions have a light warming character. Highly carbonated. Comments: Gueuze is traditionally produced by mixing one, two, and three-year old lambic. “Young” lambic contains fermentable sugars while old lambic has the characteristic “wild” taste of the Senne River valley. A noticeable vinegary or cidery character is considered a fault by Belgian brewers. A good gueuze is not the most pungent, but possesses a full and tantalizing bouquet, a sharp aroma, and a soft, velvety flavor. Lambic is served uncarbonated, while gueuze is served effervescent. Products marked oude or ville are considered most traditional. History: Spontaneously fermented wild ales from the area in and around Brussels (the Senne Valley) stem from a farmhouse brewing and blending tradition several centuries old. The number of producers is constantly dwindling and some producers are untraditionally sweetening their products (post-fermentation) to make them more palatable to a wider audience. These guidelines describe the traditional dry product. Characteristic Ingredients: Unmalted wheat (30-40%), Pilsner malt and aged hops (3 years) are used. The aged hops are used more for preservative effects than bitterness, and makes actual bitterness levels difficult to estimate. Traditionally these beers are spontaneously fermented with naturally occurring yeast and bacteria in predominately oaken barrels. The barrels used are old and have little oak character, so don’t expect a fresh or forward oak character – more neutral is typical. Home-brewed and craft-brewed versions are more typically made with pure cultures of yeast commonly including Saccharomyces, Brettanomyces, Pediococcus and Lactobacillus in an attempt to recreate the effects of the dominant microbiota of Brussels and the surrounding countryside of the Senne River valley. Cultures taken from bottles are sometimes used but there is no simple way of knowing what organisms are still viable. Style Comparison: More complex and carbonated than a lambic. The sourness isn’t necessarily higher, but it tends to have more of a well-developed wild character. Overall Impression: An IPA with the fruitiness and spiciness derived from the use of Belgian yeast. The examples from Belgium tend to be lighter in color and more attenuated, similar to a tripel that has been brewed with more hops. This beer has a more complex flavor profile and may be higher in alcohol than a typical IPA. Aroma: Moderate to high hop aroma, often tropical, stone fruit, citrus or pine-like typical of American or New World hop varieties. Floral and spicy aromas are also found indicating European hops. Grassy aroma due to dry hopping may be present. Gentle, grainy-sweet malt aroma, with little to no caramel. Fruity esters are moderate to high and may include aromas of bananas, pears and apples. Light clove-like phenols may be noticeable. Belgian candi sugar-like aromas are sometimes present. Appearance: Light golden to amber in color. Off-white head is moderate to large in size and has good retention. Clarity is fair to quite hazy in dry hopped examples. Flavor: Initial flavor is moderately spicy and estery associated with Belgian yeast strains. Clove-like and peppery flavors are common. Banana, pear and apple flavors are also typical. Hop flavors are moderate to high in intensity and may reflect tropical, stone fruit, melon, citrusy, or piney American/New World varieties or floral and spicy Saazer-type hop flavors. Malt flavor is light and grainy-sweet, sometimes with low toasted or caramel malt flavor but not required. Bitterness is high and may be accentuated by spicy yeast-derived flavors. The finish is dry to medium-dry although some examples have a slight sweetness mixed with the lingering bitterness. Mouthfeel: The body is medium to light and varies due to carbonation level and adjunct use. Carbonation level is medium to high. Some higher alcohol versions may be warming although this may not be readily apparent. Comments: The choice of yeast strain and hop varieties is critical since many choices will horribly clash. History: A relatively new style, started showing up in the mid 2000s. Homebrewers and microbreweries simply substituted Belgian yeast in their American IPA recipes. Belgian breweries added more hops to their tripel and pale ale recipes. Characteristic Ingredients: Belgian yeast strains used in making tripels and golden strong ales. American examples tend to use American or New World hops while Belgian versions tend to use European hops and only pale malt. Style Comparison: A cross between an American IPA/Imperial IPA with a Belgian Golden Strong Ale or Tripel. This style is may be spicier, stronger, drier and more fruity than an American IPA. Overall Impression: A fruity, spicy, refreshing version of an American IPA, but with a lighter color, less body, and featuring either the distinctive yeast and/or spice additions typical of a Belgian witbier. Aroma: Moderate fruity esters – banana, citrus, perhaps apricot. May have light to moderate spice aroma such as coriander or pepper from actual spice additions and/or Belgian yeast. Hop aroma is moderately-low to medium, usually American or New World type with stone fruit, citrus and tropical aromas. Esters and spices may reduce hop aroma perception. Light clove-like phenolics may be present. Appearance: Pale to deep golden color, typically hazy. Moderate to large, dense white head that persists. Flavor: Light malt flavor, perhaps a bit bready. Fruity esters are moderate to high, with citrus flavors similar to grapefruit and orange, or stone fruit like apricot. Sometimes banana-like flavors are present. Hop flavor is medium-low to medium-high with citrusy or fruity aspects. Some spicy clove-like flavors from Belgian yeast may be present. Coriander and orange peel flavors may be found as well. Bitterness is high which leads to a moderately dry, refreshing finish. Mouthfeel: Medium-light body with medium to medium-high carbonation. Typically no astringency, although highly spiced examples may exhibit a light astringency which is not distracting. Comments: A craft beer interpretation of American IPA crossed with a witbier. History: American craft brewers developed the style as a late winter/spring seasonal beer to appeal to Wit and IPA drinkers alike. Characteristic Ingredients: Pale and wheat malts, Belgian yeast, citrusy American type hops. Style Comparison: Similar to a Belgian Wit style except highly hopped to the level of an American IPA. Bitter and hoppy like the IPA but fruity, spicy and light like the Wit. Typically the hop aroma and flavor are not as prominent as in an American IPA. Overall Impression: A fairly sour, often moderately funky wild Belgian wheat beer with sourness taking the place of hop bitterness in the balance. Traditionally spontaneously fermented in the Brussels area and served uncarbonated, the refreshing acidity makes for a very pleasant café drink. Aroma: A decidedly sour aroma is often dominant in young examples, but may become more subdued with age as it blends with aromas described as barnyard, earthy, goaty, hay, horsey, and horse blanket. A mild citrus-fruity aroma is considered favorable. An enteric, smoky, cigar-like, or cheesy aroma is unfavorable. Older versions are commonly fruity with aromas of apples or even honey. No hop aroma. Appearance: Pale yellow to deep golden in color; age tends to darken the beer. Clarity is hazy to good. Younger versions are often cloudy, while older ones are generally clear. White colored head generally has poor retention. Flavor: Young examples are often noticeably lactic-sour, but aging can bring this character more in balance with the malt, wheat and barnyard characteristics. Fruity flavors are simpler in young lambics and more complex in the older examples, where they are reminiscent of apples or other light fruits, rhubarb, or honey. Some citrus flavor (often grapefruit) is occasionally noticeable, and is desirable. The malt and wheat character are typically low with some bready-grainy notes. An enteric, smoky or cigar-like character is undesirable. Hop bitterness is low to none, and generally undetectable; sourness provides the balance. Typically has a dry finish. No hop flavor. Mouthfeel: Light to medium-light body. In spite of the low finishing gravity, the many mouth-filling flavors prevent the beer from feeling like water. As a rule of thumb, lambic dries with age, which makes dryness a reasonable indicator of age. Has a medium to high tart, puckering quality without being sharply astringent. Traditional versions are virtually to completely uncarbonated, but bottled examples can pick up moderate carbonation with age. Comments: Straight lambics are single-batch, unblended beers. Since they are unblended, the straight lambic is often a true product of the “house character” of a brewery and will be more variable than a gueuze. They are generally served young (6 months) and on tap as cheap, easy-drinking beers without any filling carbonation. Younger versions tend to be one-dimensionally sour since a complex Brett character often takes upwards of a year to develop. An enteric character is often indicative of a lambic that is too young. A noticeable vinegary or cidery character is considered a fault by Belgian brewers. Since the wild yeast and bacteria will ferment ALL sugars, they are typically bottled only when they have completely fermented. History: Spontaneously fermented wild ales from the area in and around Brussels (the Senne Valley) stem from a farmhouse brewing tradition several centuries old. The number of producers is constantly dwindling. Characteristic Ingredients: Unmalted wheat (30-40%), Pilsner malt and aged hops (3 years) are used. The aged hops are used more for preservative effects than bitterness, and makes actual bitterness levels difficult to estimate. Traditionally these beers are spontaneously fermented with naturally occurring yeast and bacteria in predominately oaken barrels. The barrels used are neutral with little oak character, so don’t expect a fresh or forward oak character – more neutral is typical. Home-brewed and craft-brewed versions are more typically made with pure cultures of yeast commonly including Saccharomyces, Brettanomyces, Pediococcus and Lactobacillus in an attempt to recreate the effects of the dominant microbiota of Brussels and the surrounding countryside of the Senne River valley. Cultures taken from bottles are sometimes used but there is no simple way of knowing what organisms are still viable. Style Comparison: Generally has a more simple sourness and complexity than a gueuze. Traditionally served uncarbonated from pitchers, while gueuze is bottled and very highly carbonated. Overall Impression: A malty, fruity, aged, somewhat sour Belgian-style brown ale. Aroma: Complex combination of fruity esters and rich malt character. Medium to medium-high esters commonly reminiscent of raisins, plums, figs, dates, black cherries or prunes. Medium low to medium high malt character of caramel, toffee, orange, treacle or chocolate. Spicy phenols can be present in low amounts for complexity. A sherry-like character may be present and generally denotes an aged example. A low sour aroma may be present, and can modestly increase with age but should not grow to a noticeable acetic/vinegary character. Hop aroma absent. Diacetyl is perceived only in very minor quantities, if at all, as a complementary aroma. Appearance: Dark reddish-brown to brown in color. Good clarity. Average to good head retention. Ivory to light tan head color. Mouthfeel: Medium to medium-full body. Low to moderate carbonation. No astringency. Comments: Long aging and blending of young and aged beer may occur, adding smoothness and complexity and balancing any harsh, sour character. This style was designed to lay down so examples with a moderate aged character are considered superior to younger examples. As in fruit lambics, Oud Bruin can be used as a base for fruit-flavored beers such as kriek (cherries) or frambozen (raspberries), though these should be entered in the Classic-Style Fruit Beer category. History: An “old ale” tradition, indigenous to East Flanders, typified by the products of the Liefman brewery (now owned by Riva), which has roots back to the 1600s. Historically brewed as a “provision beer” that would develop some sourness as it aged. These beers were typically more sour than current commercial examples. While Flanders red beers are aged in oak, the brown beers are warm aged in stainless steel. Characteristic Ingredients: A base of Pils malt with judicious amounts of dark cara malts and a tiny bit of black or roast malt. Often includes maize. Low alpha acid continental hops are typical (avoid high alpha or distinctive American hops). Saccharomyces and Lactobacillus (and acetobacter) contribute to the fermentation and eventual flavor. Lactobacillus reacts poorly to elevated levels of alcohol. Water high in carbonates is typical of its home region and will buffer the acidity of darker malts and the lactic sourness. Magnesium in the water accentuates the sourness. Style Comparison: A deeper malt character distinguishes these beers from Flanders red ales. The Oud Bruin is less acetic and maltier than a Flanders Red, and the fruity flavors are more malt-oriented. Overall Impression: A sour, fruity, red wine-like Belgian-style ale with interesting supportive malt flavors and fruit complexity. The dry finish and tannin completes the mental image of a fine red wine. Aroma: Complex fruity-sour profile with supporting malt that often gives a wine-like impression. Fruitiness is high, and reminiscent of black cherries, oranges, plums or red currants. There are often low to medium-low vanilla and/or chocolate notes. Spicy phenols can be present in low amounts for complexity. The sour aroma ranges from balanced to intense. Prominent vinegary acetic character is inappropriate. No hop aroma. Diacetyl is perceived only in very minor quantities, if at all, as a complementary aroma. Appearance: Deep red, burgundy to reddish-brown in color. Good clarity. White to very pale tan head. Average to good head retention. Flavor: Intense fruitiness commonly includes plum, orange, black cherry or red currant flavors. A mild vanilla and/or chocolate character is often present. Spicy phenols can be present in low amounts for complexity. Sour flavor ranges from complementary to intense, and can have an acidic bite. Malty flavors range from complementary to prominent, and often have a soft toasty-rich quality. Generally as the sour character increases, the malt character blends to more of a background flavor (and vice versa). No hop flavor. Restrained hop bitterness. An acidic, tannic bitterness is often present in low to moderate amounts, and adds an aged red wine-like character and finish. Prominent vinegary acetic character is inappropriate. Diacetyl is perceived only in very minor quantities, if at all, as a complementary flavor. Balanced to the malt side, but dominated by the fruity, sour, wine-like impression. Mouthfeel: Medium bodied. Low to medium carbonation. Low to medium astringency, like a well-aged red wine, often with a prickly acidity. Deceivingly light and crisp on the palate although a somewhat sweet finish is not uncommon. Comments: Long aging and blending of young and well-aged beer often occurs, adding to the smoothness and complexity, though the aged product is sometimes released as a connoisseur’s beer. Known as the Burgundy of Belgium, it is more wine-like than any other beer style. The reddish color is a product of the malt although an extended, less-than-rolling portion of the boil may help add an attractive Burgundy hue. Aging will also darken the beer. The Flanders red is more acetic (but never vinegar-like) and the fruity flavors more reminiscent of a red wine than an Oud Bruin. Can have an apparent attenuation of up to 98%. History: An indigenous beer of West Flanders, typified by the products of the Rodenbach brewery, established in 1820 in West Flanders but reflective of earlier brewing traditions. The beer is aged for up to two years, often in huge oaken barrels which contain the resident bacteria necessary to sour the beer. It was once common in Belgium and England to blend old beer with young to balance the sourness and acidity found in aged beer. While blending of batches for consistency is now common among larger breweries, this type of blending is a fading art. Characteristic Ingredients: A base of Vienna and/or Munich malts, light to medium cara-malts, and a small amount of Special B are used with up to 20% maize. Low alpha acid continental hops are commonly used (avoid high alpha or distinctive American hops). Saccharomyces, Lactobacillus and Brettanomyces (and acetobacter) contribute to the fermentation and eventual flavor. Style Comparison: Less malty-rich than an Oud Bruin, often with more of a fruity-tart profile.